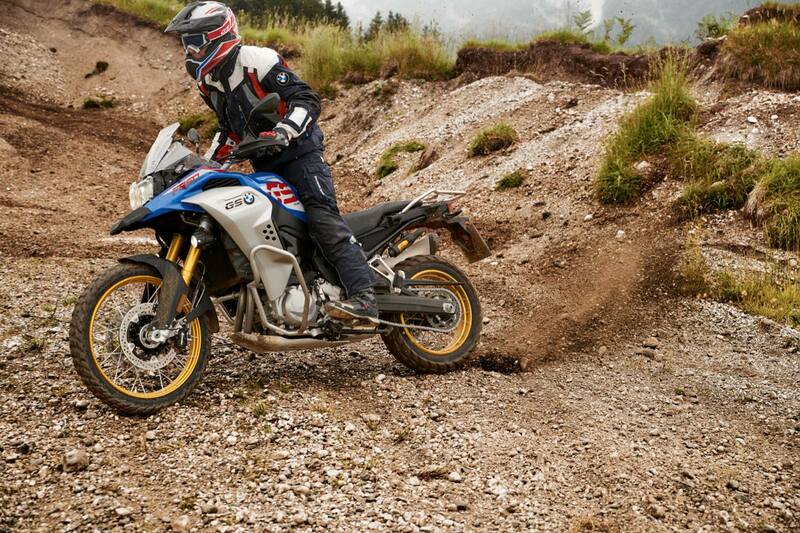 The new BMW F 850 GS Adventure adds to the German brand’s enduro lineup, offering longer riding range. If you’re a fan of munching miles on- and off-road or frequently face long journeys then the F 850 GS Adventure is another potential candidate for you to consider. It joins BMW’s middleweight range and provides all that you’d expect from a proper adventure bike. Powering the F 850 GS Adventure is the same 853cc in-line 2-cylinder engine that powers the F 850 GS. It produces 95hp at 8,250rpm and generates 92Nm or torque at 6,250rpm. A 90-degree crankpin offset and 270/450 degree ignition spacing form part of its makeup. The inclusion of two counterbalance shafts minimises the vibration levels. Adding further to the powertrain refinement is a self-amplifying, anti-hopping clutch. BMW claims this delivers a noticeable reduction in the amount of effort needed to operate the clutch and also in engine drag torque. The transmission is made up of a six-speed gearbox, and the chain drive is now on the left-hand side of the swingarm. Of course being a GS Adventure, there’s a larger fuel tank to make globe-trotting that bit easier. BMW claims the 23-litre tank is good for a riding range of up to 550 kilometres between fill-ups. In other words, you’ll probably want to stop before the bike will. All bikes come with an LED headlight and 6.5-inch TFT dash, which offers lots of trip info. Different ride modes tailor the bike to suit your preference. There are Road, Rain, Dynamic, Enduro settings and an Enduro Pro mode for more serious off-roading. Buyers can also choose to add electronic suspension adjustment. Being an adventure bike, there are lots of extras you will be able to add on. Metal three-piece luggage, just like its bigger brother the R 1250 GS Adventure will be available. An adjustable screen and engine protection bars are also available.